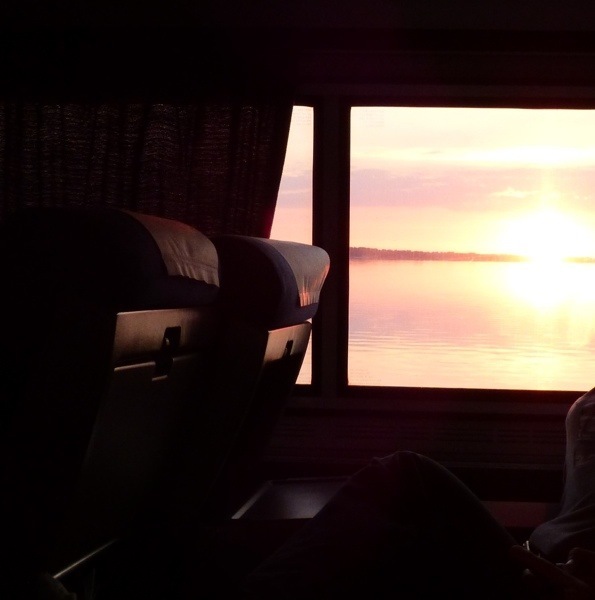 Travelling from coast to coast across North America by train – for some a dream, for others a nightmare. When we started telling friends that this was our plan for our main trip of 2014 we received all kinds of responses, but we thought it would be brilliant. 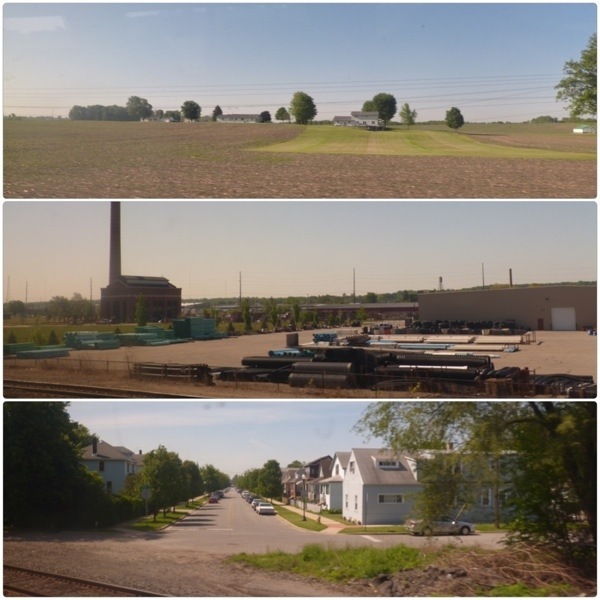 The plan was to catch the Lake Shore Ltd. from New York to Chicago (an overnight journey of around 18 hours), and spend a little over 24 hours taking a brief look around Chicago. We’d then transfer to the even more evocatively-named Empire Builder for a full two days spent travelling across to Seattle, by way of Wisconsin, North Dakota, Montana, and Idaho. Coach seats were deemed acceptable for the first part of the trip, but we decided to treat ourselves to a sleeper for the longer stage. Bookings were duly made, hotels and excursions planned, but very sadly all did not go according to plan. A little less than 48 hours before we were due to leave New York, we received an email from Amtrak to say that they were cancelling the Chicago to Seattle train. No alternative, no apology, just a gaping hole in our holiday. After an extremely stressful morning investigating a variety of options, American Airlines saved the day – we would leave Chicago at almost exactly the same time as the train should have done, but use airmiles to fly to Portland, Oregon (possibly the only time ever that an airmiles flight has been available at a sensible time between convenient locations), where we’d spend a night before catching a train up to Seattle, arriving there a day ahead of schedule. 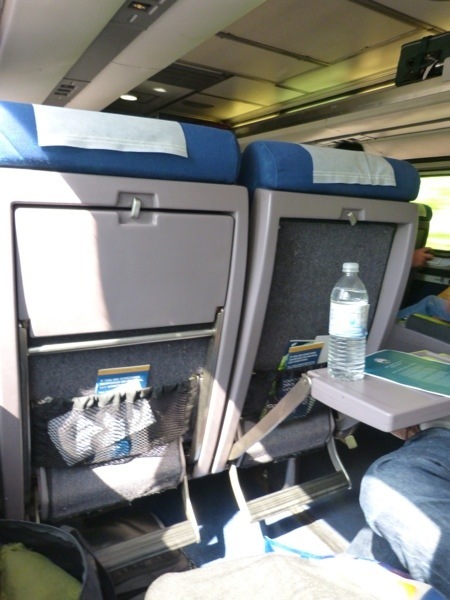 So it was with rather mixed feelings that we boarded the train in Penn Station for the ride across to Chicago, but I have to say that we were most impressed. Coach class seats were large, they reclined a long way, legroom was generous, and the overhead luggage rack accommodated our suitcase with ease. 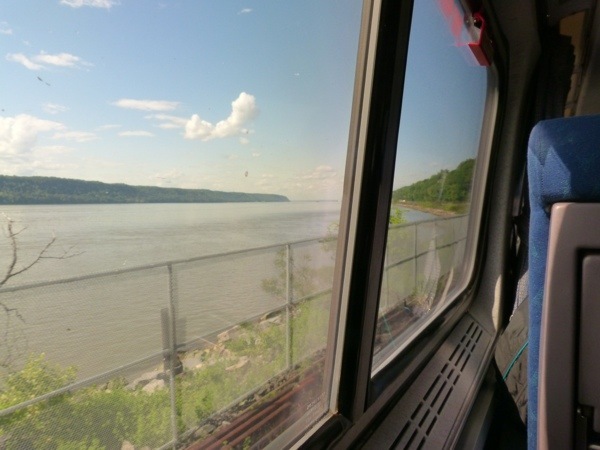 We settled in and enjoyed the views along the Hudson before tucking into our picnic dinner, then heading along to the cafe car for a surprisingly nice glass (or rather plastic cup) of wine. Sunrise over Lake Erie was a beautiful sight after a surprisingly good night’s sleep, and I carried on snoozing happily as we trundled through the farmlands of Ohio (which look remarkably like Lincolnshire). Eventually Tom got bored and hungry, so we headed off to the dining car for a cooked breakfast. This entry was posted in Holidays and tagged 2014PNW, Amtrak, Lake Shore Ltd., trains by Emma Davidson. Bookmark the permalink.